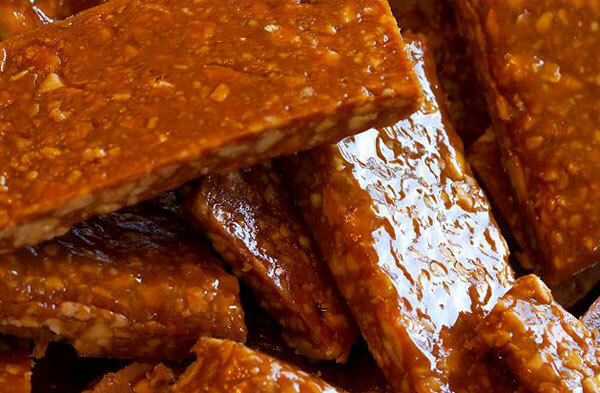 Whether you're a peanut-brittle kind of guy or a peanut-brittle kind of girl, you've just got to try our Peanut Brizzle! Just take a tentative nibble, chew it slowly, let it tickle your taste buds and melt in your mouth. You will find yourself smiling and reaching for more. Kalahari Foods Natural Peanut Brizzle is handmade, just like my grandmother made it back in Africa; where it was a rare treat, a special delight, meant to be savored and enjoyed, every single crunchy, flavorful bite. You can always get more - for yourself or a special, sure-to-be-loved treat for friends and family; makes excellent corporate gifts. Shipping available.